ndia captain Virat Kohli Friday said the number four slot in the batting line-up is still to be "solidified", months after he backed Ambati Rayudu for the position till this year's World Cup. India captain Virat Kohli Friday said the number four slot in the batting line-up is still to be “solidified”, months after he backed Ambati Rayudu for the position till this year’s World Cup. “If you look at that last game, Ambati Rayudu batted at four, Dhoni at five and Dinesh Karthik at six. Because we brought in Vijay Shankar and Kedar Jadhav, we didn’t want Karthik to change his spot because he is doing a good job,” he said after the third and final ODI of a historic tour of Australia. “…the middle order we saw in Adelaide is pretty much the most balanced if you look at it. The number four position, again, has been a sort of an area which we want solidified,” he said. “But because of the combinations we want to play, sometimes you have to make those changes. Anyone who bats at four will have to take the responsibility for the World Cup, whoever it might be. That person will have to take responsibility at number four, he added. Unpredictability is India’s strength heading into the World Cup this year, declared Kohli and commended his team for making him look good as a captain. “Our strength as a side has been unpredictability. We haven’t been predictable with our combinations in the past year, if you see the kind of teams we have played with,” Kohli said after the third ODI which India won by seven wickets here. “If you see it has been a team performance in all three series and everyone has contributed which is a very good sign for the world cup. If everyone is contributing in different stages then only you can win a big tournament,” he said. “If everyone is in the same mental space, then obviously everyone will feel very confident, and on this tour we are very happy with results,” he added. He said that Australia were reading Kuldeep Yadav well and the visitors had to make that change. “We thought it might not be a bad thing to bring in Chahal because we were also bringing in Kedar who is an off-spinner and gives us an option with left-handers. So Chahal became a more sensible option for us in that regard because he spins the ball back in,” he said. “…taking six wickets at the MCG is no small feat for a spinner. He is very intelligent bowler and he gets us those breakthroughs. He and Kuldeep are definitely a force to be reckoned with. When they play together, it is our most potent spin attack…,” he added. Kohli said the Chahal-Yadav combination is India’s ideal spin combination going into the World Cup. “You see their performances. How can you not take them to the World Cup? To come back in such different conditions as a team it gives us a lot of confidence that you can do it in big games at the World Cup,” he said. “Captaincy is not a thing that is individually controlled. Your team is what makes you look good as a captain. I said that after the Test series win as well. The credit has to go to everyone because if you see the runs contributed it is spread across a few players,” he said. “We are going from Australia unbeaten and it’s been a wonderful time and it has been a great tour for us. Glad to finish on this note,” added the skipper. 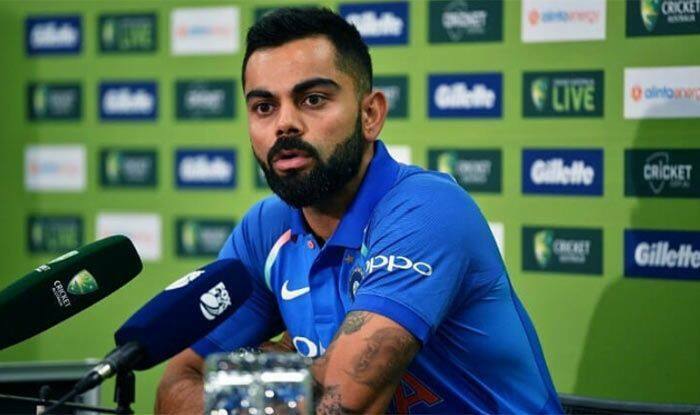 Last but not the least, Kohli thanked all the support staff and said they should get equal credit for the team’s success on this Australian tour. “If you see the contribution of all team staff, Ravi Shastri has helped in strategy and boost people’s confidence. His man-management has been outstanding. Bharat Arun has done delightful work with bowlers and in batting Sanjay Bangar’s contribution,” he said. “Players and support staff should have equal credit for the tour’s success because they have worked 120 percent on every day. It was a combined effort,” he signed off.